A shaman is someone who is regarded as having access to, and influence in, the world of benevolent and malevolent spirits, who typically enters into a trance state during a ritual, and practices divination and healing. Shamanism is a way of life using a collection of ancient techniques that help the practitioner to explore the spiritual realm, to awaken and expand consciousness and to heal the inner wounds of humanity. Our ancestors engaged in Shamanic practice as their earliest form of religion. The techniques they used in expanding our consciousness and provoking mystical experiences are impressive, some of which are chanting, fasting, nature immersion, trance dancing and ingesting hallucinogenic herbs and plants. “Shaman” comes from the Siberian word “samarambi” which means “to excite oneself,” and “sam-dambi” which means to dance. Thus, Shamans excite themselves into a divine frenzy through drum beating and dancing, until they pass into a trance and their spirits leave their bodies. In modern day, a shaman is simply defined as “specialists in ecstasy” whose abilities include thought-reading, clairvoyance, firewalking, and spirit interaction. Shamans feel the need to understand society and live their life in a way that is more fully harmonious to reality. They go wild, travel out of their normal minds, and visit the invisible world of Spirit. It is in visiting the invisible realms that Shamans tap their power in guiding their lives and of others. While growing up, most of us forget our connectedness with the other worlds surrounding us, the earth and ourselves. Our minds are filled with false doctrines and delusions from outside forces. To become a shaman, one has to go through 3 stages: calling, training, initiation. Unlike before, where the soon-to-be shaman is trained by an older mentor, today those who are called won’t even recognize their calling. Most of them won’t understand what’s going on within them and sometimes are overwhelmed with fear. But with training, those who are called are able to find and protect the creative energies bestowed on them for therapeutic and other beneficial purposes. 1. Having a strong connection with nature. Natural Shamans deeply feel the interconnectedness of every creature on Earth through the web of the spirit. This interconnection is mostly felt in nature. Nature nurtures us, and we nurture it in return. We are all a part of one giant organism connected through its spirit! 2. Being comfortable in solitude. You live a solitary life or prefer one. You might be considered different or eccentric and find difficulty in fitting with the typical society. This is because you have unique gifts that make you extremely sensitive. You sense the wrong of society much more deeply than average people. You might need to act as bridge between the natural world and the unnatural system of society. 3. Having near-death, out of the body, or mystical experiences. Before a shaman can cure others, they must know how to cure themselves first. When they passed through the angst of death and rebirth, which often represented by a temporary illness or shocking crisis, they surrender everything they know as true and able to fathom the wisdom they’re meant to learn. 4. Feeling a subtle healing energy on hands. Most Natural Shamans have a gift of controlling and manipulating their energy. They are naturally good at giving massages and others might describe them as having a healing touch. A good blood circulation in hands provides them with healing energy through their warm touch. 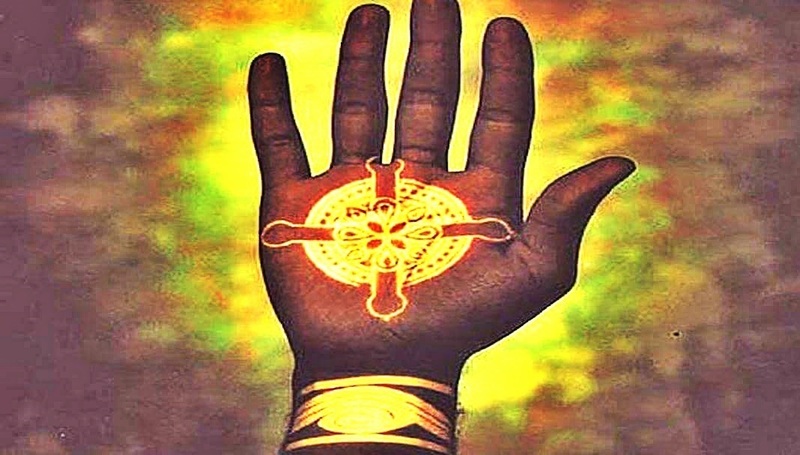 They may even feel the power that emanates from their hands. If this description fits you than you were destined to be an energy healer. 5. Having the ability to read others. You have the gift of vision that enables you to read other’s illnesses or see their spiritual burdens. You might possess other psychic abilities, such as clairvoyance, clairaudience, and other paranormal abilities. When you interact with others you perceive them through the energy they emit rather than how they look or what they say. Most often you see the thought patterns behind the words they speak. 6. Having ancestors who were healers or medical herbalists. Other cultures believe that the gift of shamanism is inherited from their ancestors and handed down to the next generations. But, it’s no longer clear today whether our ancestors have shamanic gifts as none of them claim to be one. Some of your ancestors might have been a Natural Shaman but wasn’t aware, and didn’t really unlocked their full potential. 7. Having vivid or prophetic dreams. You might have visions of the future in your dreams. You probably looked through this phenomena for a couple of times thinking it’s some kind of a coincidence. If you are a Natural Shaman you dive into the spirit world more easily than others who swim in their own psyche when they sleep. That’s why you might have prophetic dreams from time to time. 8. Having been visited by spirit animals. Shamans receive aids from animals or hybrid animals (half animal, half human). They serve as spirit guides and share essential information and reminders when the shamans need them. If you’ve had some encounter, dreaming or seeing a spirit animal in your thoughts, you might be called to become a Shaman. 9. Seeing things others can’t see. At an early age, Natural Shamans have the ability to access other realms and hidden dimensions. The training enhances their effectiveness in having the fluidity of mind and being open and receptive to new information. Because of the ability to see what others can’t, they’re usually labeled as mentally ill by modern medicine. 10. Having physical abnormalities that set them apart. In the past, people consider those with physical abnormalities as an omen of having a special relationship with the spirit world. These physical abnormalities include having extra fingers or toes at birth and having a caul or thin membrane covering the head. This might be a sign that you are a Natural Shaman. 11. A feeling of helping, healing, or easing other’s pain and suffering. Shamanism is basically the practice of balancing or correcting the relationship with others and the natural world around us. Anything that is not balanced causes suffering. Whenever shamans see suffering, they’re drawn to heal it and restore back harmony in the web of life. If you have the urge to harmonize things you are destined to be a Shaman. All these signs may be general, yet all of us are called by spiritual forces that are ambiguously leading us to our specific calling.